Gone are those days when classified advertisement were booked by going to New Indian Express newspaper office personally and manually filling the advertisement booking form, waiting in the queues, rushing on deadlines or finding New Indian Express Classified booking Agents. 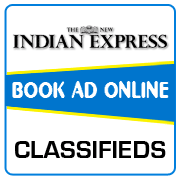 Now New Indian Express Classified Advertisement booking is just a few clicks away at Ads2publish.com, the quickest and most convenient website to book advertisement in New Indian Express newspaper online at lowest Ad Rates. Check out special offers in our website for releasing your ad in New Indian Express newspaper only at Ads2Publish online booking. 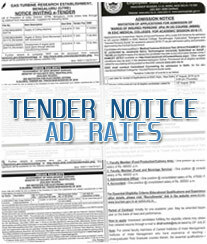 Choose Ad category from the given list to publish your ad in New Indian Express newspaper. 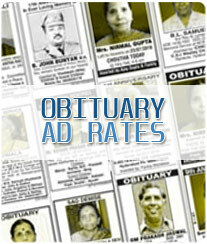 Select individual city rate or package Ad Rate available in New Indian Express. 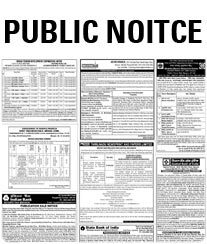 Select desired date of your ad to be released in New Indian Express from the Calendar. On successful payment, you would receive an auto generated invoice from us confirming New Indian Express Advertising order details to your registered email id. Then post editorial approval your ad would get published in the newspaper on the chosen dates. Meantime you can track your order status with our customer support team via Live Chat, Phone Call or even you can send us an email. Your query will be answered quickly. Hurry Up. Book your ad in New Indian Express Newspaper. Booking closes soon for the next edition. Book Now and get instant Confirmation. By checking Circulation of Individual edition of New Indian Express newspaper you would have an idea of its reach. 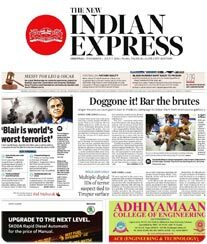 New Indian Express is a leading English Daily newspaper in South India and based in Chennai. It was founded in 1932 as the Indian Express, under the ownership of Chennai-based P. Varadarajulu Naidu. 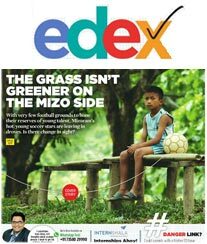 New Indian Express is arguably the flagship publication incorporating national and international themes and sections on developmental issues, society, politics, literature, arts, cinema, travel, lifestyle, sports, business, finance, new-age living, self-development and entertainment. The New Indian Express from 25 centers in Tamilnadu, Karnataka, Andhra Pradesh, Kerala and Odisha. 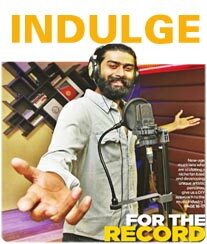 Book your classified ads in The New Indian Express Newspaper. Classifieds Column in New Indian Express publishes every day in the Newspaper but the response are more for Matrimonial Ads on Sunday, Property, Rental Ads on Saturday and Sunday, Recruitment Ads and Name Change Ads on all days. Classified Advertisements in New Indian Express newspaper can be published by choosing among the below two options. Classified Text Ads in New Indian Express publishes in simple running text format under pre defined headings provided by the newspaper and on a particular page everyday. New Indian Express Classified Text Ads are charged based on number of Line or words used in the advertisement content with a limitation for using number of lines or words. This are plain text ads but New Indian Express offers enhancement options to make your ad highlighted using Background Color, Bold, Tickmark options. 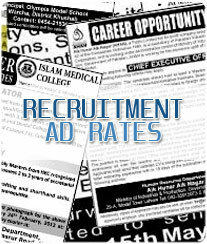 View Ad Rates for Classified Text Ad in New Indian Express newspaper by clicking on the category above listed which suits your advertising requirement. Check Ad Rates for Individual Edition or Choose from the listed special ad packages. Classified Display Ads gives freedom to advertiser to design their own ad according to their choice using different font, vibrant images and logo of your company. A bit higher on the price scale, classified display ads in New Indian Express are more elaborate and eye-catching than classified text ads. They are charged per square centimeter in New Indian Express Newspaper. Their is an restriction for minimum and maximum Height and Width to be taken to publish your ad. You can choose B/w or Colour advertisement as cost may vary for B/w and Colour. 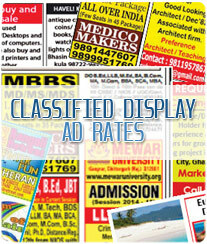 Check New Indian Express Classified Display Ad Rates by Choosing any of the listed category above. Classified Ads in New Indian Express newspaper are mostly booked for Matrimonial, Property to Rent, Sale of Property, Name Change, Obituary notice, Lost & Found, Recruitments (Appointment), Business, Vehicles for Sale / Purchase, Education Category. Get Guaranteed response by publishing your ad in New Indian Express because of its wide circulation and loyal readership. With Ads2publish experience the simplest way of booking Classified Ads online for New Indian Express Newspaper at no extra cost through our website. With more than 2 decades experience in Newspaper Advertising Industry we provide the best rates and suggesions to our clients for yielding great results through advertising that too sitting at your place. Being a leading Advertising Agency we have exclusive tie-up with New Indian Express Newspaper which enables us to offer special discounts on Tariff rates.